The Committee was chaired by Secretary, Ministry of Corporate Affairs and consisted of Shri Bharat Vasani, nominee of the Confederation of Indian Industries (CII), Smt. Reva Khetrapal, Judge (Retd. ), Delhi High Court, Shri Y.M. Deosthalee, nominee of the Federation of Indian Chambers of Commerce and Industry (FICCI), Dr. A.S. Durga Prasad, President of the Institute of Cost Accountants of India, Shri Manoj Fadnis, President of the Institute of Chartered Accountants of India, Shri Atul Mehta, President of the Institute of Company Secretaries of India, Shri N.S. Vishwanathan, Executive Director from RBI and Shri P.K. Nagpal, Executive Director from SEBI as co-opted members and Joint Secretary (Policy), Ministry of Corporate Affairs as Member Convener. The Committee had extensive consultations with stakeholders before making its recommendations. More than 2000 suggestions were received during the consultation process. The stakeholders consulted included all Industry Chambers, Professional Institutes, law firms, financial sector and other regulators. Six broad based groups were set up to review the suggestions received during the public consultation, each group being convened by a member of the Committee, and consisting of subject-matter experts including industry representatives, lawyers, company secretaries, cost accountants, investors’ representatives and chartered accountants. The Committee has endeavoured to reconcile the competing interests of the various stakeholders keeping in mind the difficulties and challenges expressed by them, and also being mindful of the Government’s objective of furthering ease of doing business, encouraging start-ups and the need for harmonising various laws. The Committee also kept in mind the need to bring in greater clarity in the Act and Rules and harmonizing the various provisions thereof while making its recommendations. 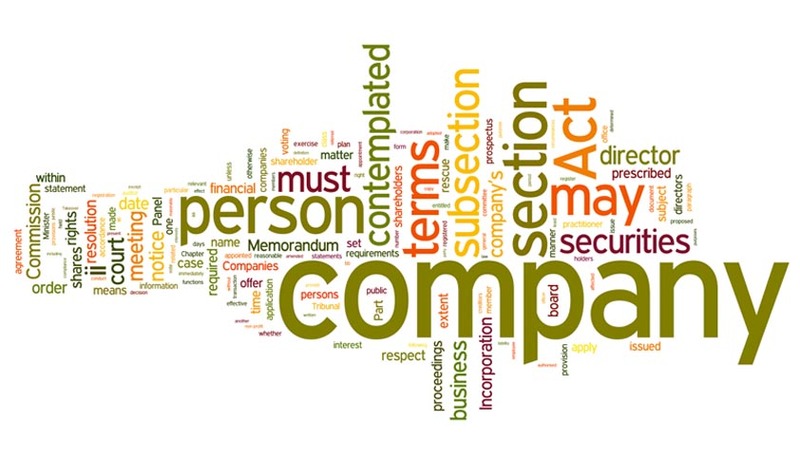 After exhaustive deliberations, the Committee has proposed changes in 78 sections of the Companies Act, 2013, which along with consequential changes, would result in about 100 amendments to the Act. Approximately fifty amendments to the Rules have also been proposed. The recommendations cover significant areas of the Act, including definitions, raising of capital, accounts and audit, corporate governance, managerial remuneration, companies incorporated outside India and offences/ penalties.